When Kline is kidnapped by a dark sect that believes amputation brings you closer to God, he's tasked with uncovering who murdered their leader. Will he uncover the truth in time to save himself, take on the mantle of prophet, or destroy all he sees with a rain of biblical violence? 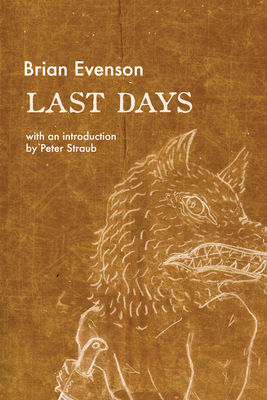 Brian Evenson: Praised by Peter Straub for going furthest out on the sheerest, least sheltered narrative precipice, Brian Evenson is the author of ten books of fiction. He has been a finalist for the Edgar Award, the Shirley Jackson Award, and the World Fantasy Award and the winner of the International Horror Guild Award, the American Library Association s award for Best Horror Novel, and one of "Time Out New York" s top books. The recipient of a National Endowment for the Arts fellowship and three O. Henry Prizes, Evenson lives in Providence, Rhode Island, where he directs Brown University s Literary Arts Program.